These 6GB mobiles ensures efficient performance and they are always ready when Android apps with large memory are installed. 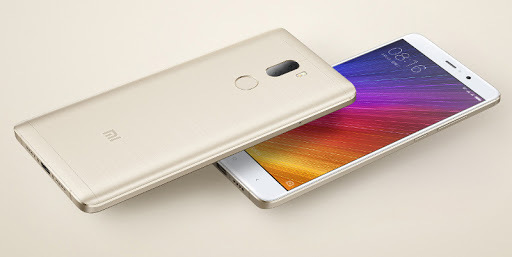 The Xiaomi Mi 5S Plus is one of Xiaomi’s Flagship smartphones with 6GB RAM. It’s also their first smartphone to have 6GB RAM . The device comes with a massive 5.7-inch display with 1920 x 1080 pixels screen resolution and is powered with a Quad-Core Snapdragon 821 64-bit processor clocking at a speed of 2.35GHz. It runs on Android 6.0 Marshmallow with MIUI 8 on top of it and has dual SIM (nano + nano) support. There is a 13-megapixels camera on the rear with dual-tone LED flash and is accompanied with a 4-megapixels front facing camera. OnePlus, One of the most popular Chinese smartphone manufacturer is well known for producing high-end smartphones at affordable prices. Months ago, the company hannounced its latest flagship device dubbed as OnePlus 3 for the global market . Before you decide to purchase the OnePlus 3 smartphone, have a look its specifications. The OnePlus 3 flaunts a 5.5-inch (1920 x 1080 pixels) Full HD Optic AMOLED display with 2.5D curved Corning Gorilla Glass 4 protection and has dual nano SIM slots. Under the hood, there is a 2.15GHz Quad-Core Snapdragon 820 64-bit processor coupled with Adreno 530 GPU and 6GB of RAM. The other features of the device includes a 16-megapixels rear facing camera, 8-megapixels front facing camera, fingerprint sensor, 3000mAh battery with Dash Charge technology and runs on Android 6.0.1 Marshmallow with Oxygen OS 3.1 on top. Asus Zenfone 3 Deluxe is one of latest flagship smartphone from ASUS. It was unveiled alongside two other devices ,The Zenfone 3 and Zenfone 3 Ultra at the Computex 2016 event. Here are some key specs and features of Zenfone 3 Deluxe. Coming to the display, it has 5.7-inch Full HD Super AMOLED display and powered with quad-core Snapdragon processor coupled Adreno 530 GPU and 64/128GB/256GB internal storage. The other features includes a 23MP rear camera, 8MP front camera, fingerprint sensor, hybrid dual SIM, Android 6.0 Marshmallow, and 3000mAh battery with Qualcomm Quick Charge 3.0 support. The Nubia Z11 is ZTE’s second smartphone to feature 6GB RAM . Earlier ZTE announced the ZTE Axon 7, its first device to include 6GB RAM and Snapdragon 820 Chipset. As of now, the devices are available exclusively for the Chinese market but fortunately you can purchase it online . Let’s have a quick overview of ZTE Nubia Z11 specs and features. Display-wise, the Nubia Z11 sports a 5.5-inch FHD 2.5D borderless display with Corning Gorilla Glass 3 protection. There is a 2.15GHz Qualcomm Snapdragon 820 64-bit Quad-Core 14nm processor coupled with Adreno 530 GPU and it has dual Hybrid SIM support. It comes in two different variants – 4GB RAM + 64Gb Storage and 6GB RAM + 128GB Storage, there is also microSD card slot for memory expansion up to 128GB. It also has a fingerprint sensor on the back that can unlock the phone in 0.1 seconds. It has AK4376 audio chip, Dolby Atmos and SmartPA amplifier for an enhanced audio experience. It has aerospace grade aluminum alloy body and is just 7.5mm thick. The Vivo Xplay 5 Elite is one of the most powerful Android smartphone in the market, made entirely of metal and using Gorilla Glass 4 to protect the dual-curved 5.43-inch Super AMOLED Quad HD screen. As already said, it has Qualcomm Snapdragon 820 SoC coupled with 6GB of RAM and 128GB internal storage without any microSD card slot for memory expansion. The Lenovo ZUK Z2 Pro, costs $ 416 .Comparing it comes with a Snapdragon 820 chipset and 6GB RAM, you’ll have the best experience of gaming and multi-tasking on this smartphone. Coming to the display, the ZUK Z2 Pro has a 5.2-inch 1080p Super AMOLED 2.5D curved glass display with 1.41 narrow bezel on the side and runs on Android 6.0 Marshmallow out-of-the-box with ZUI 2.0 on top. There’s a 13-megapixels rear camera with dual-tone LED flash and hybrid phase-detection auto-focus, plus an 8-megpixels camera on the front. There is a fingerprint sensor on the back which can unlock the device in just 0.1s with 99.7% accuracy. The Lenovo ZUK Z2 Pro has a 3D floating glass design, a metal frame and 10 different sensor including UV sensor, altimeter, and heart rate sensor. The measures dimensions of 145.4 x 70.5 x 7.45mm; weighs 145g and includes connectivity features like 4G LTE with VoLTE, WiFi 802.11 a/b/g/n/ac, Bluetooth 4.1, GPS, USB 3.1 and USB Type-C port. There is 3100mAh battery with Qualcomm Quick Charge 3.0 technology. The ZUK Z2 Pro also comes in 4GB LPPDR4 RAM + 64GB storage variant. LeEco is the fastest emerging Chinese smartphone company which has impressed us with the launch of few affordable smartphones at a reasonable price tag. LeEco at an event in China announced its first Android smartphone with 6GB RAM and Snapdragon 820 chipset, the Le 2 Max 2. The device was announced alongside two more devices – the LeEco Le 2 and Le 2 Pro. The LeEco Le Max 2 also comes in two more different version – 4GB RAM + 32GB storage and 4GB RAM + 64GB storage. Let’s take a quick look at the specifications, the Le Max 2 sports a 5.7-inch (2560 x 1440 pixels) Quad HD display and has dual SIM (nano + nano) support. There is a 21-megapixels rear camera with dual-tone LED Flash, Sony IMX230 sensor, OIS, 6P lenses, and f/2.0 aperture, plus an 8-megapixels front facing camera. Like the ZUK Z2 Pro, it has includes a 3100mAh battery with QC 3.0 feature. It runs on Android Marshmallow OS, measures 156.8 x 77.6 x 7.99mm and weighs 185g. The other features includes CDLA loss-less audio, Dolby Atmos, Ultrasonic fingerprint sensor, and infrared sensor. ZTE also launched a 6GB RAM smartphone in the Axon series called the ZTE Axon 7. It comes in Ion Gold and Quartz Gray colors and is priced at $ 625. There are other versions of the Axon 7 with 4GB RAM + 64GB storage and 4GB RAM + 128GB storage which costs $442 and $522 respectively. The display has 5.5-inch Quad HD AMOLED 2.5D curved glass screen and is powered by a Quad Core Snapdragon 820 64-bit SoC. It runs on Android 6.0 (Marshmallow), features a 20MP rear camera with dual LED Flash and a front camera of 8MP on the front. Like various other flagship devices, the ZTE Axon 7 also has a fingerprint sensor on the back for better security . There is a 3250mAh battery on the back with Quick Charge 3.0. 5.5-inch (2560 x 1440 pixels) Quad HD force touch displayDeca-Core MediaTek Helio X20 processor with Mali-T880 MP4 GPU6GB RAM128GB internal storageAndroid 6.0 (Marshmallow) OS21-megapixels rear camera with dual-tone LED flash, Sony IMX230 sensor8-megapixels front-facing cameraFingerprint sensor4G LTE, WiFi 802.11 ac (2.4GHz and 5GHz), Bluetooth 4.1, GPS, USB Type-C Most of the above listed smartphones are announced only for the Chinese market but you can always order it online. Comment and we’ll drop a purchase link to any device you wish to purchase .